Going to the gym is one thing. Completing a workout session that is actually effective and productive is another. 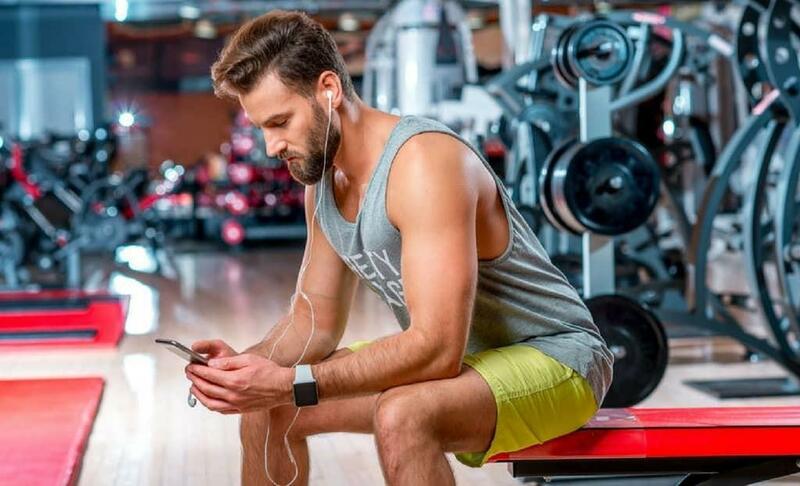 A common scenario that athletes and gym goers face is that they head to the gym only to realise that they can’t remember what numbers they hit the previous session. It’s a small thing but it can actually make a big detrimental difference to your fitness success. Fortunately, this can easily be prevented easily through the use of a workout log. A workout log means that you always know what you did the previous session, the session before that, and so on. It definitely serves better than your memory, where you can easily forget the smallest details. Recording your training means you can properly plan your next session in a way that further improves your progress on a consistent basis, as opposed to just throwing together a random workout. It takes the guesswork out of your training regime to get you actual results. It can be easy to slack off when you are having a long day, or if you are feeling particularly tired. Dragging yourself to the gym is one thing but doing the level of exercise you want is another. We can admit it, sometimes we have those days where we cheat a little and use lighter weights or do fewer sets than we planned. This is why using a workout log can help. By having to keep track of everything, it holds you accountable for all your sessions. Do you really want to look back and see that you put in half the effort last time? What a better way to keep yourself motivated than to look back over your workout log and see the progress that you have made? Even if you can’t see the changes on the scales or if you are in need a pick-me-up, seeing how far you have come can really give you that much-needed boost of motivation. It will enhance your confidence and determination to keep going and maintain focus on your fitness goals. What if you are not making the gains that you thought you would be? What if your bench progress has soared but your deadlift has stalled? Unfortunately, when it comes to fitness success, there is no one-size-fits-all solution. Every exercise program consists of trial-and-error which is why it is important to be able to monitor how your body responds to your regime and make adjustments as needed. A workout log can assist with this. It provides you with valuable insight into your past training sessions which is fundamental in evaluating your progress. By keeping track of your workouts, you will be able to see what has worked best for you and what needs improvement. It will also help segment each area for analysis. This way you can maintain consistent progress across your entire body and muscle groups. By planning your future workouts this way, you enhance your productivity and reduce wasted time because then you are not stuck with a program that really isn’t working. It is all about making advancements and with that, comes monitoring your results and keeping them consistent across all muscle groups. Another important factor that a workout log can assist with is determining how your lifestyle and other external factors affect your sessions. This is something that is not typically given much thought but it can play a significant role in your progress. A key to fitness success is having consistently good workouts. There may be some days where you do not get enough sleep the night before, or you may have longer work hours on specific days because it is the peak period. By recording this information, you can adjust your program to accommodate to this. It may mean doing a lighter session these days and then making up for it on other days where you have more energy. Not only will this help you physically but it can also help you mentally. Instead of taking twice as long to complete a session or “cheating” yourself by cutting your session short and feeling defeated, you will be able to do a workout that you know you can do. It will also assist in helping you realistically space out and alternate your workouts, especially if are experiencing fatigue or DOMS (delayed onset muscle soreness). By being able to look back at your workout log and records, you can make a difference in your physical and mental results to make sure that every workout is as good as the last one. Unfortunately, injuries do happen but there are ways to minimize this risk. If you experience nagging signs of an injury, you can identify what workout caused it by using your training records. You can check the exercise as well as the number of sets, reps and weight that you used. Knowing this information can really help prevent future injuries so you know what not to do. A workout log is a tool that tends to be undervalued. However, it is a powerful way to enhance accuracy, productivity and motivation for all athletes and gym-goers. It is an integral component in boosting motivation and success for any fitness program. So are you looking for an easy, simple and efficient workout log tracker? 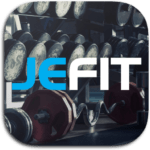 Say goodbye to pen and paper and say hello to Jefit, a gym workout app that simplifies the process of recording workouts for athletes and gym-goers alike. It comes with the ability to record your metrics set by set until your workout is complete, so you can boost motivation and make every workout an efficient one. Do you use a workout log to track your training? Has it made any difference to your training sessions and results? Let us know in the comments below!